White furniture is a modern style staple, and Empatika has been embracing the trend for many years. That’s because white furniture isn’t so much of a ‘trend’ as such – it doesn’t go out of fashion suddenly one year. Because it’s clean and simple, the colour white isn’t a passing trend, it is timeless. The staying power of white is just one reason why the design experts at Empatika love it so much. Furniture which is painted white is suitable for any room of the house, regardless of the atmosphere you are trying to create. 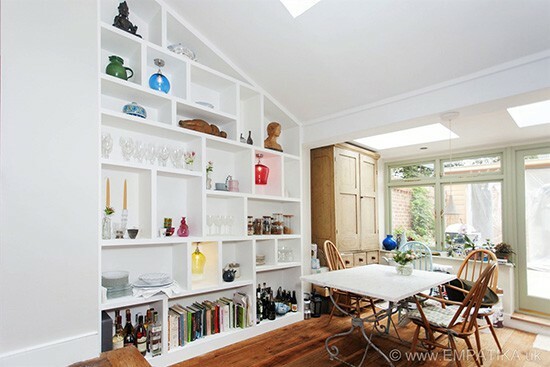 A white table will look great in a kitchen diner, just as a white bookshelf will complement a lounge or bedroom. White is a safe choice for any room and any style – what’s not to love? Here are some examples of where white furniture can be used and how it adds to the décor and overall feel of the room. Classic white and cream furniture has long been used in the bedroom to create drama and an aura of luxury. Whether you’re choosing a furniture set, such as a chest of drawers and a dressing table, or a built-in wardrobe, white works wonders. Some people think you can have ‘too much white’ in the bedroom, but we don’t think that’s true. (Tell that to the bathroom!) White has calming properties, so using it to layer up different textures in the bedroom is a good choice. 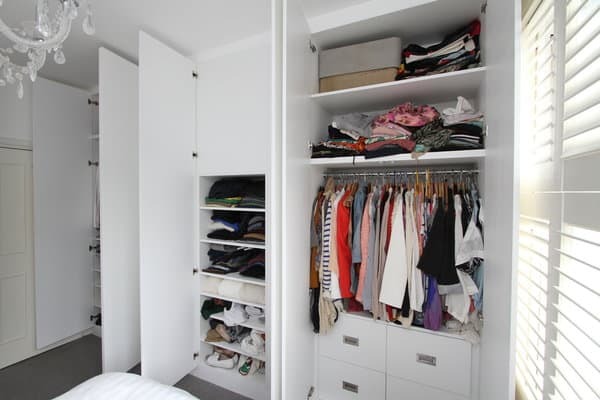 White wardrobes, white drapes and white bedding will all complement one another, even if they are different shades. Fitted kitchens come in all different styles and colours, with chic white becoming a more popular choice. Black and monochrome can look contemporary, but can make the space feel small. By choosing a lighter colour, it opens up the space and makes the kitchen feel bigger than it actually is. You might not choose white if you’re not a fan of cleaning, but in terms of interior design it can do wonders to a kitchen. Not to mention that most features such as the fridge and freezer and washing machine are usually white also. If you’re not planning on renovating the kitchen, you can still use white in other subtle ways. Why not use chalk paint to give your dining table a country farmhouse update? You could also find a white Welsh dresser or other furniture items to place in a kitchen diner. White furniture in the living room gives a clean finish. 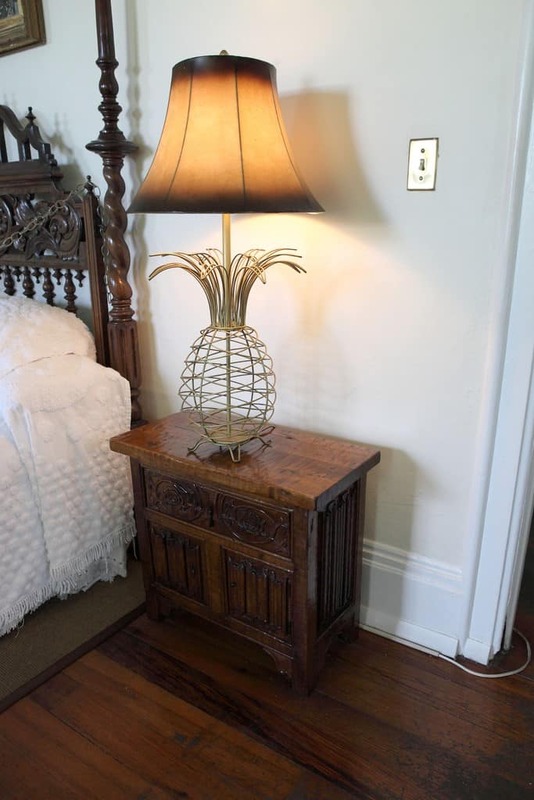 Once again, it makes tight spaces appear bigger and gives a relaxing, casual feel to the room. 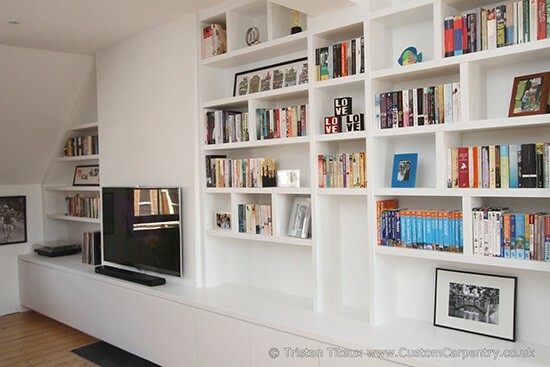 In the above image, the fitted shelving and media unit seamlessly blends into the wall. 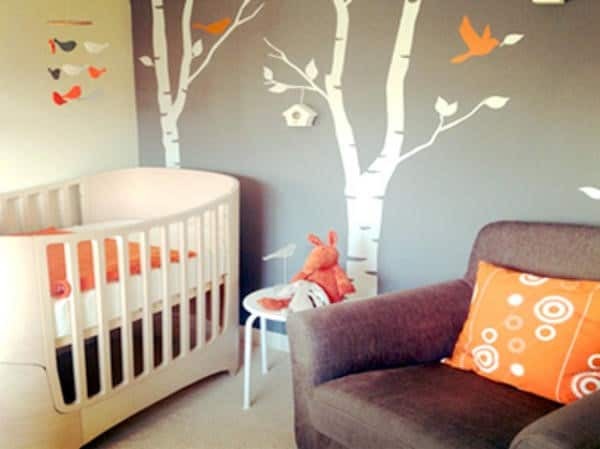 If the furniture was painted to resemble dark wood or in another colour, there would be less of an impact and the wall would look busier. 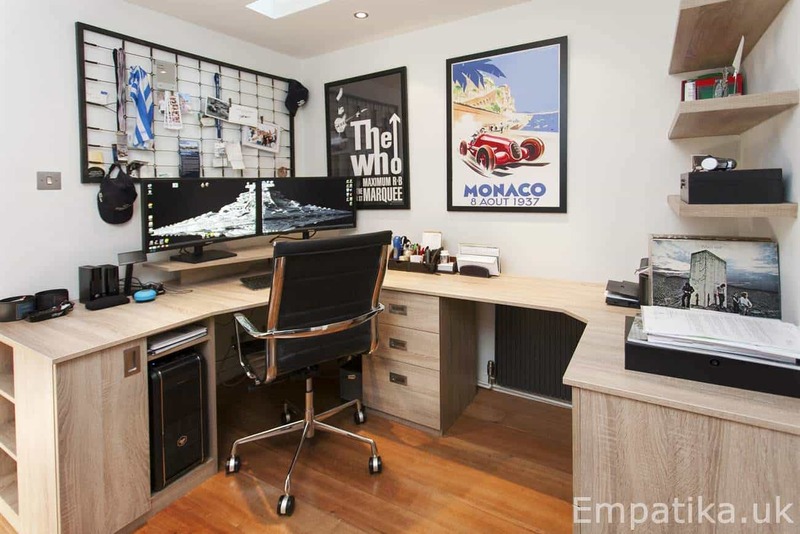 Instead, the wall looks clean, simple and organised. White is a great choice for any room, but in the lounge it really gives a minimalist feel. White floating shelves are also great for creating a modern look. 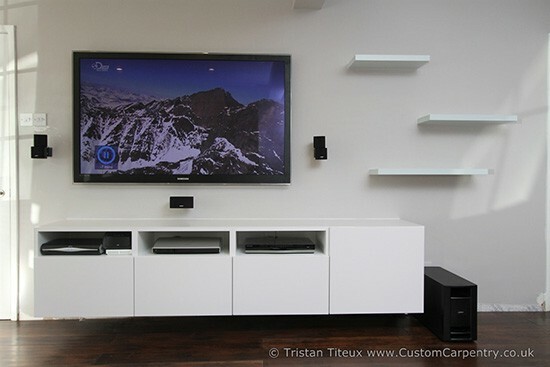 Everything is becoming more streamlined – TVs are now often wall mounted, wires can be hidden and there is no need for large media cabinets. In this design, we created a floating storage cabinet below the TV without handles, so everything seamlessly blends into the wall. When we build our bespoke furniture, we always recommend a white finish. However, it’s totally up to our clients and we offer a large range of paints and timber products to create the perfect look.